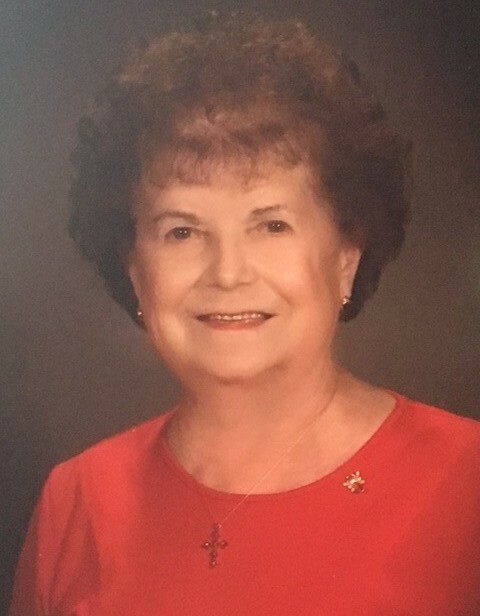 Hildegarde “Hilde” H. (Scharp) Kijewski, 84, of Watertown, went home to be with her Lord and Savior on Tuesday, July 31, 2018 surrounded by her loving children. Hilde was born on October 15, 1933 in Watertown to Walter and Elizabeth (Martin) Scharp. She attended St. Mark’s Lutheran Grade School and Watertown High School. On August 4th, 1973 she married Alois Kijewski at St. Mark’s Lutheran Church in Watertown. He preceded her in death on December 27, 2005. Hilde had been employed as an executive secretary at Baso/Johnson Controls in Watertown for many years. In March of 1987, she and Al moved to Las Vegas, Nevada. While in Las Vegas, she continued to work as an executive secretary, this time for the Senior Center of Las Vegas. She was also active at Mt. Olive Lutheran Church in Las Vegas, Nevada. She described her time in Las Vegas as some of the best times of her life. She and Al then moved back to Watertown where she was again a member of St. Mark’s Lutheran Church until her passing. Hilde loved music and expressed that love through singing in the church choir for many years, playing the organ, and dancing. Hilde’s big heart extended to animals, including her beloved cat, Precious. Hilde is survived by two children, John Raabe and Laurie (Ron) Dahlke of Watertown; step sons Tom (Patty) Kijewski, and Steve (Kathy) Kijewski; nine grandchildren, Tina (Ryan) Tietz, Bryan (fiancée Amanda Taylor) Raabe, Aaron (Jordan) Raabe, David (Tara Roesch) Raabe, Hannah (Mike) Ignarski, Renee (David) Downs, Elissa (Joshua) Bishop, Matthew (Josie) Zuehlke, and Adam Zuehlke; a sister-in-law, Audrey Scharp of Watertown; a special cousin, Georgieanne Kusel of Watertown; 16 great-grandchildren, nieces, nephews, and other relatives and friends. Hilde was preceded in death by her parents; two infant brothers - Robert and John, her husband Al, three sisters, Gertrude Wanke, Pauline Reith and Elizabeth Hall; a brother, Herman Scharp, and three brothers-in-law, Elwyn Hall, Harold Wanke and Howard Reith, and former spouse, Rueben Raabe. We praise God the Father for bringing Hilde into this world. We praise God’s Son, Jesus Christ, for redeeming Hilde from sin. And we praise God the Holy Spirit for bringing Hilde to believe in the name of God’s one and only Son, Jesus. Hilde’s body will be laid to rest at Glenview Memorial Gardens, where it will await the arrival of Jesus Christ and the glorious resurrection of all the dead on the last day. Then I heard a voice from heaven say, “Write: Blessed are the dead who die in the Lord from now on.” “Yes,” says the Spirit, “they will rest from their labor” (Revelation 14:13). A Memorial service will be at 3:00PM on Sunday, August 5, 2018 at St. Mark’s Lutheran Church of Watertown with Rev. Karl Walther presiding. Visitation will be at the church from 2PM until time of service. Burial will be held at Glenview Memorial Gardens at a later date.